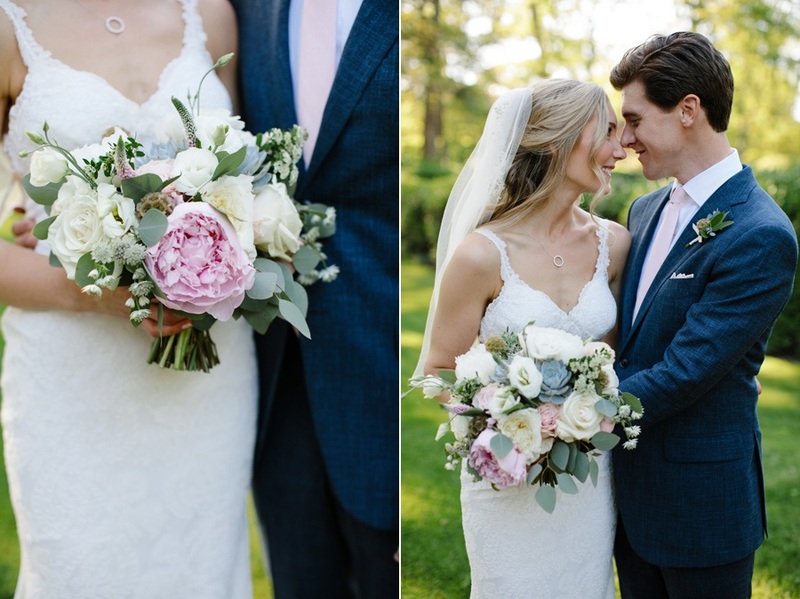 From the minute we started working with Tory + Brendan, we just loved working with them to plan their beautiful backyard wedding. 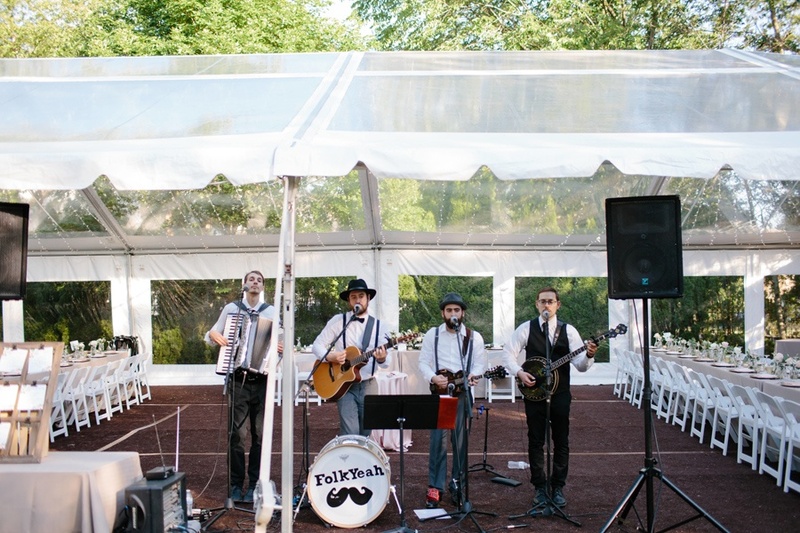 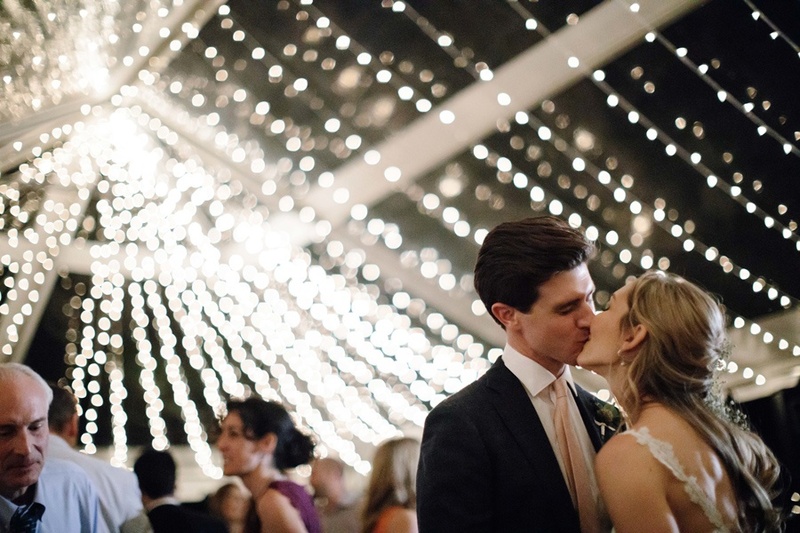 Their gorgeous tented reception at Tory’s sister’s house in Winnetka was filled with all the best details – delightful flowers, s’mores around a fire pit, and a folk band that kept the crowd on the dance floor all night. 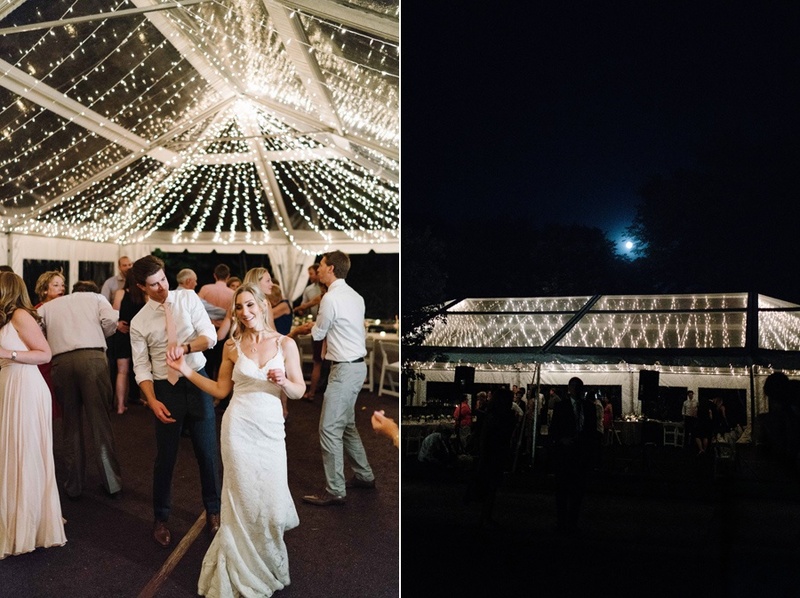 While Tory got ready upstairs at her sister’s house (and the guys were paling around offsite), we were in the yard seeing to every detail… hanging lanterns in trees, setting up games, and making sure the very important s’mores bar and fire pit were ready for the end of the night. 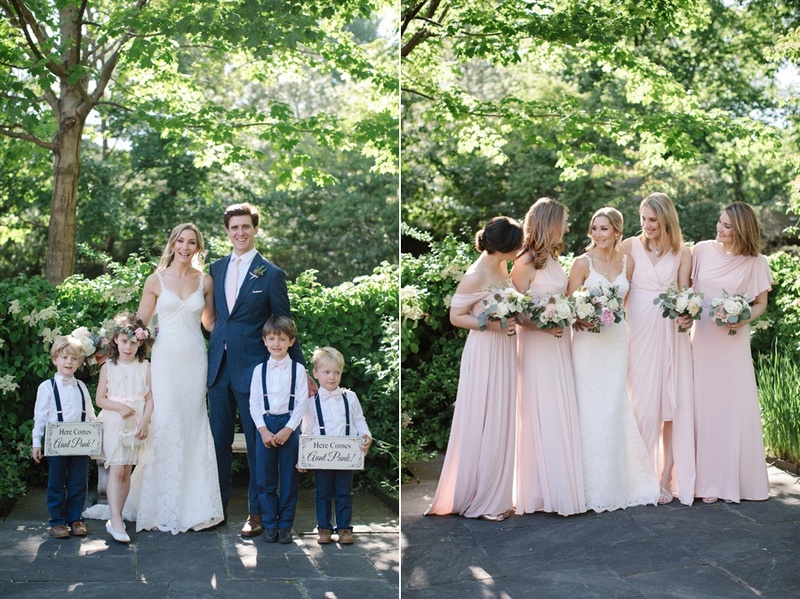 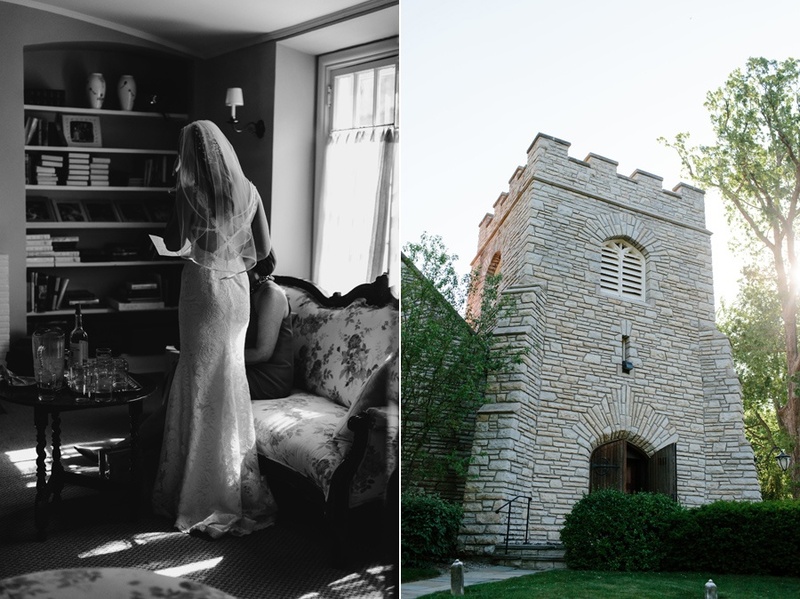 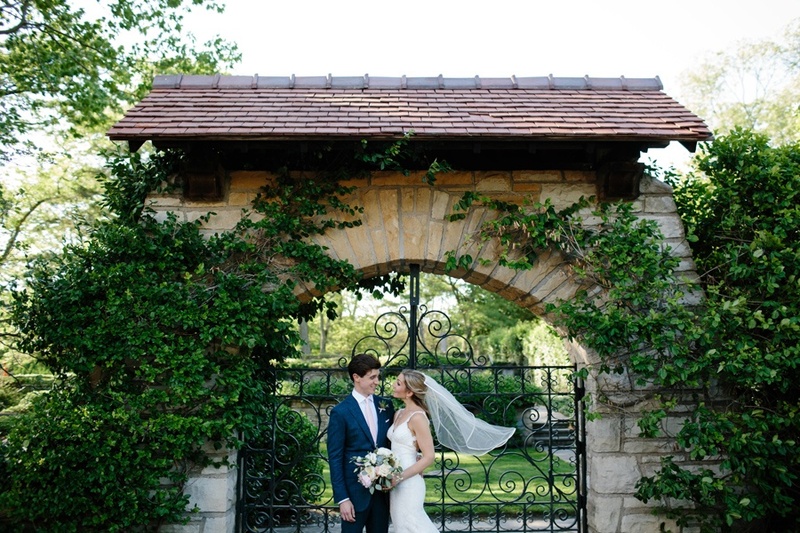 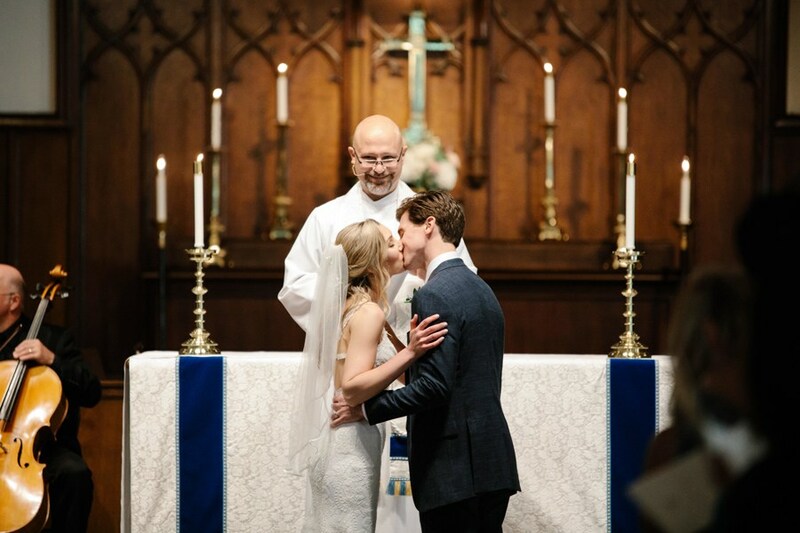 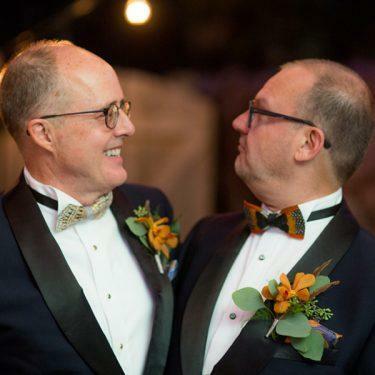 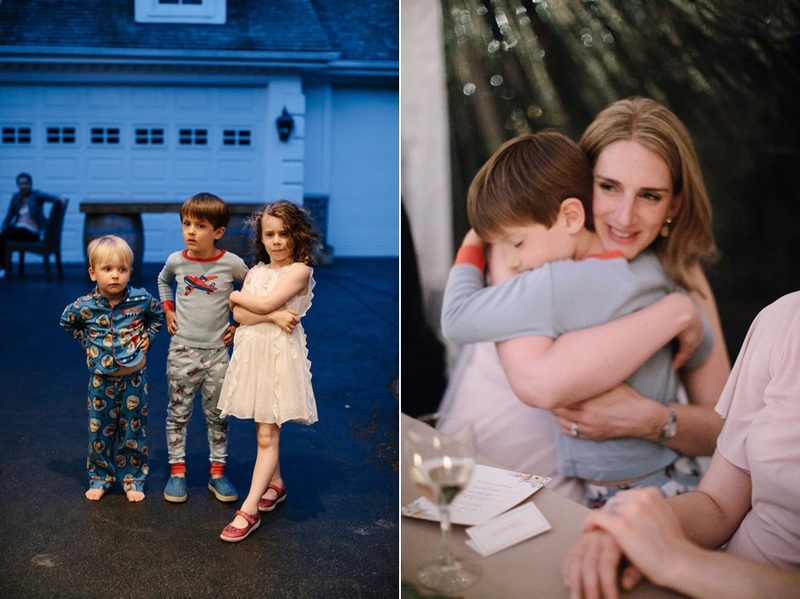 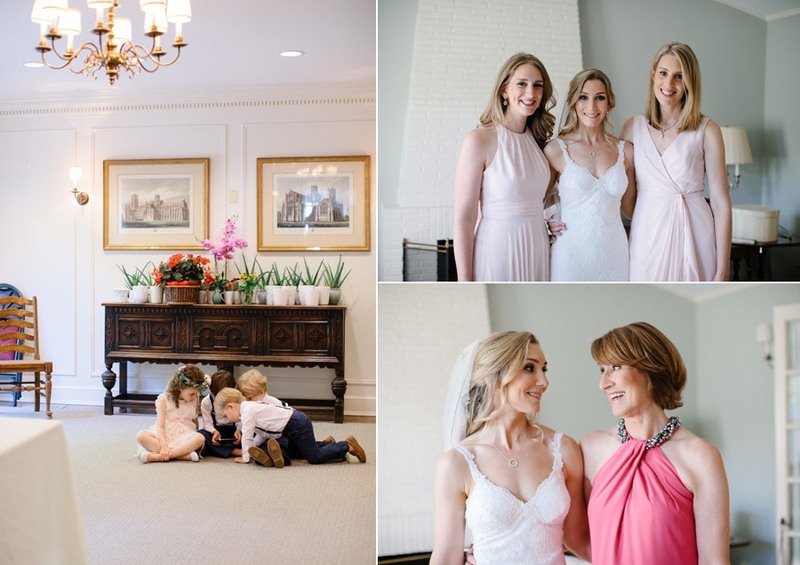 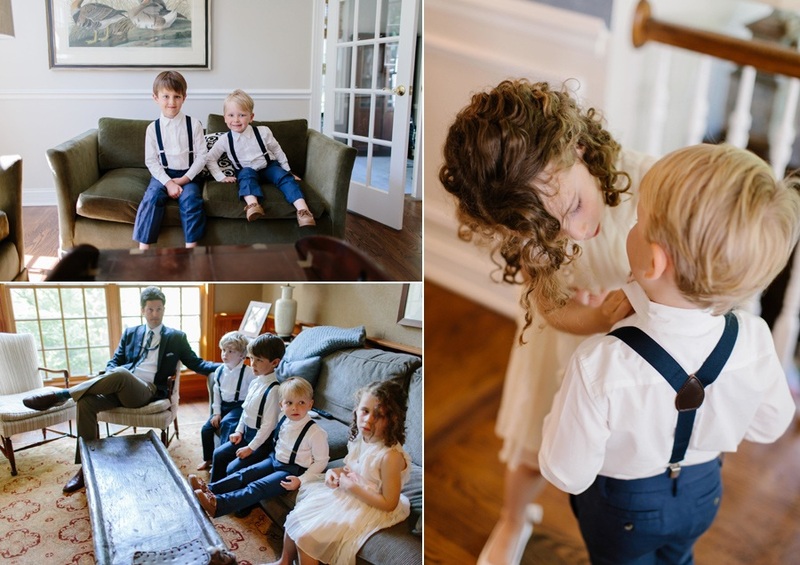 With preparations underway for the reception, Tory + Brendan headed to Christ Church Winnetka to say “I do!” We don’t know who had more fun, the bride and groom or their adorable nieces and nephews. 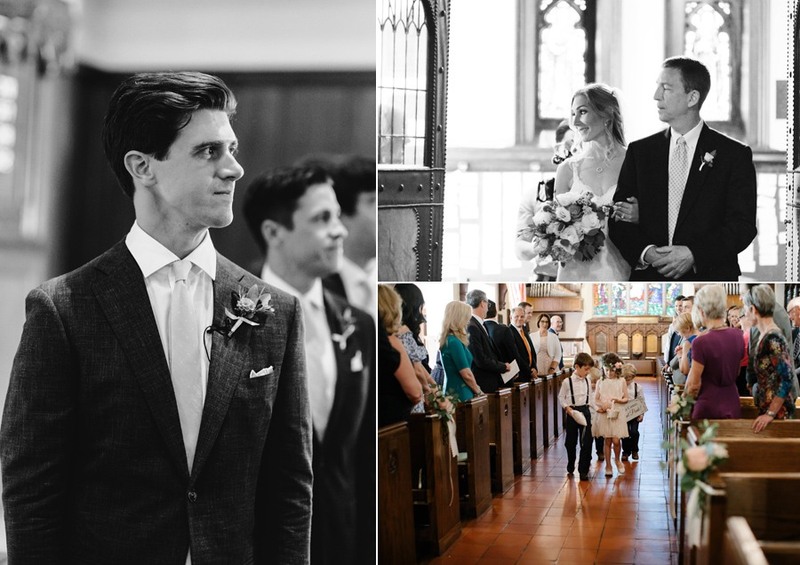 The church itself is so beautiful, and all of the wood and natural elements really came together to form the look and feel of the day. 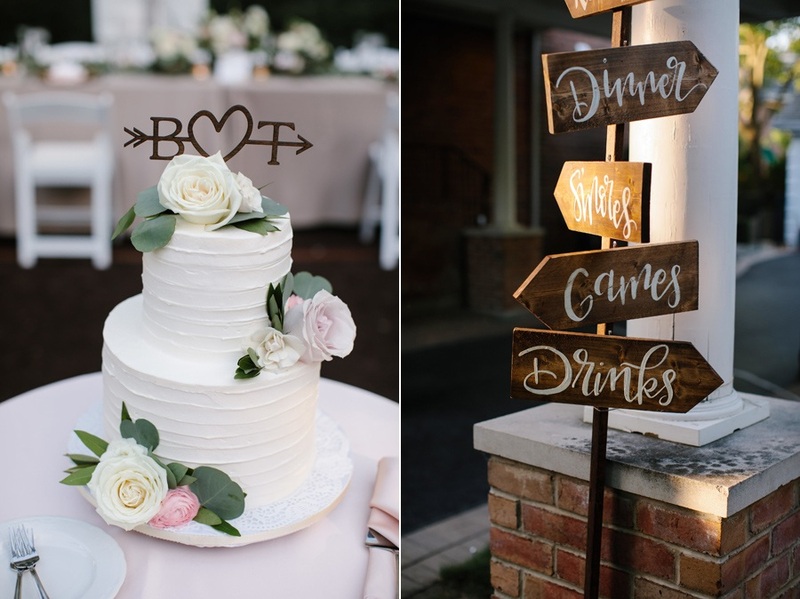 After the ceremony, the newest newlyweds and their guests headed back to Tory’s sister’s house where the reception was ready and waiting. 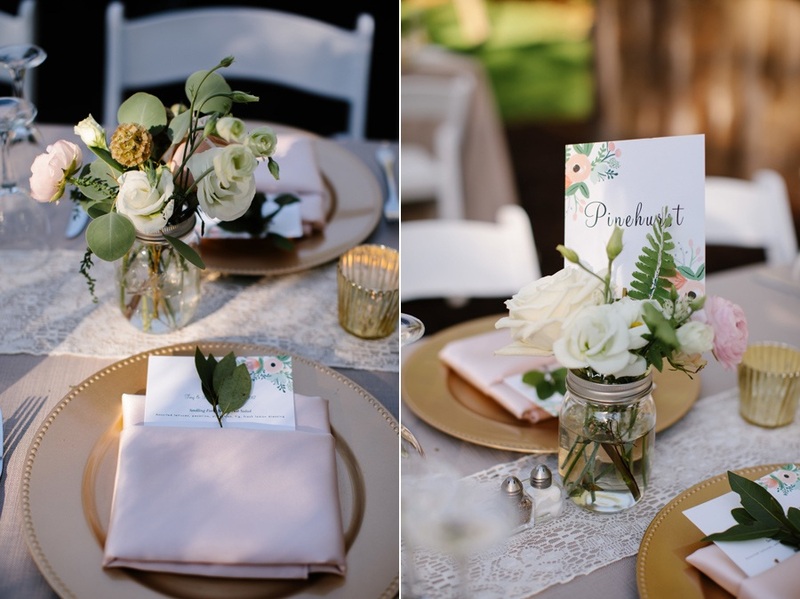 We loved the muted color palette and simple florals that set the tone for a relaxed backyard wedding and even seemed to match the house perfectly! 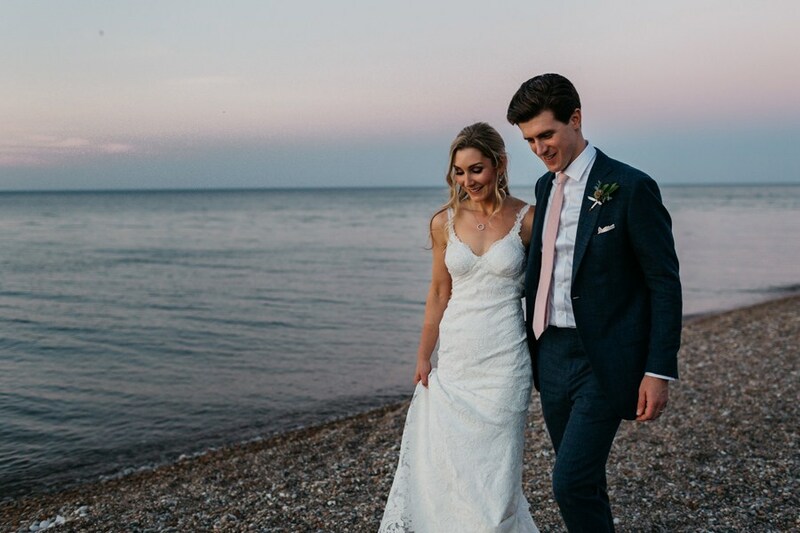 Tory + Brendan danced the night away under a canopy of lights and even managed to sneak away for a couple of photos on the beach right at sunset. 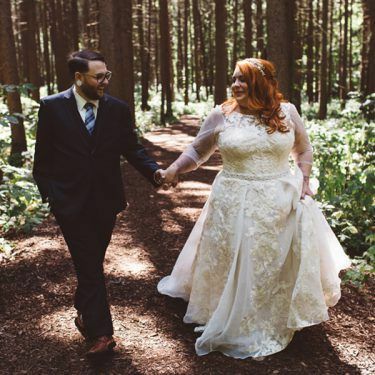 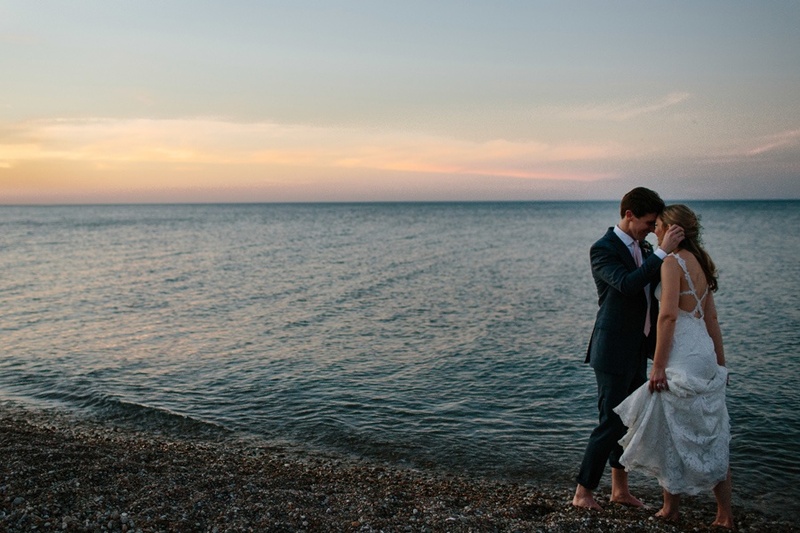 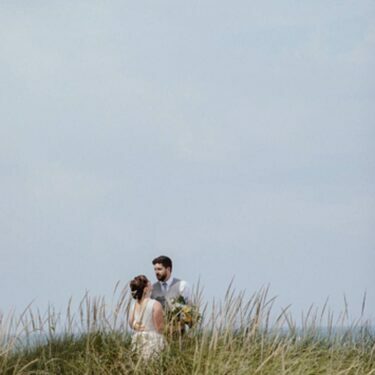 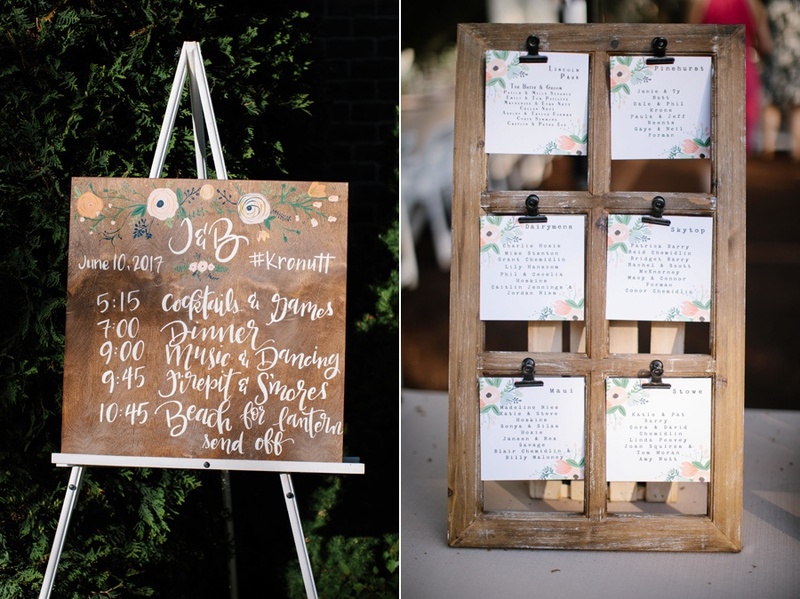 From backyards to beaches, this wedding had it all! 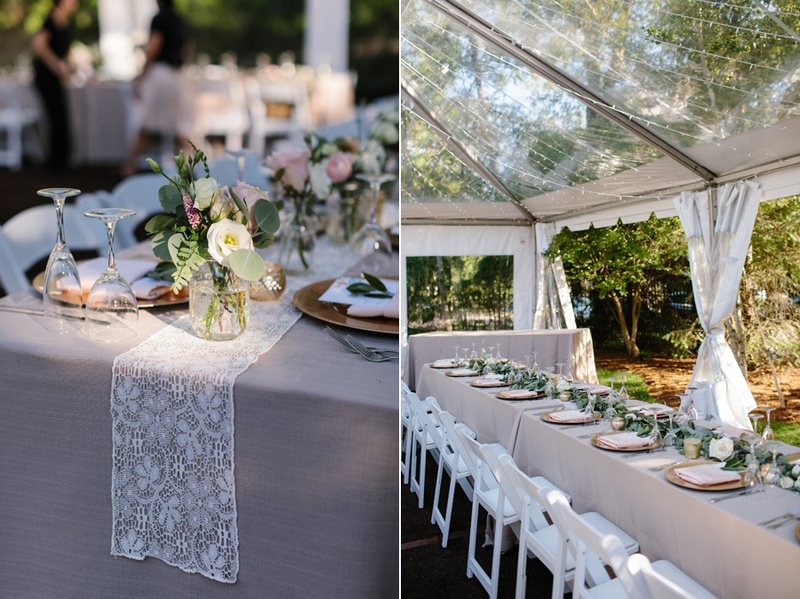 Having a backyard wedding seems easier and more casual, but it actually means even more details and coordinating. 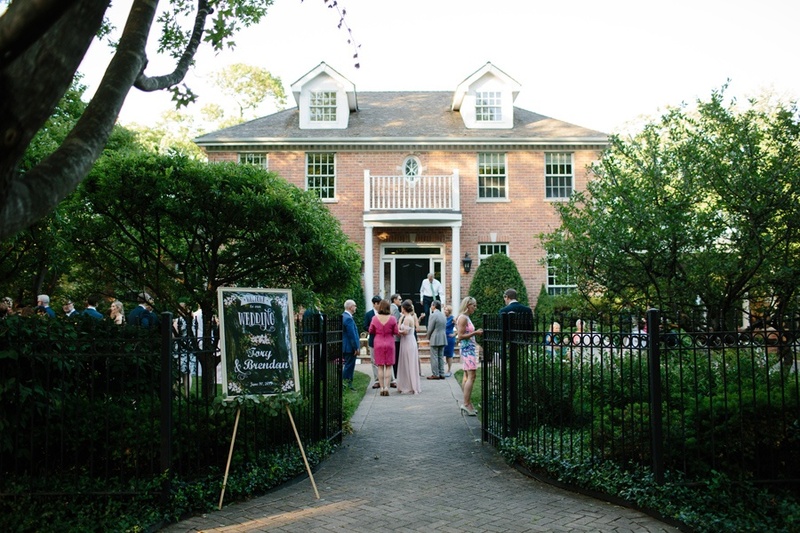 We’re backyard professionals at this point, check out these other backyard weddings we’ve planned: Jenna + Max, Illena + Jack, Laurie + Bret, and Katie’s bridal shower and then reach out to us here.